The warm tones of slate and cherry wood define this functional master bathroom. The shower is adjacent to a soaking tub, while the clean lines of the seven foot vanity provides his and hers storage. 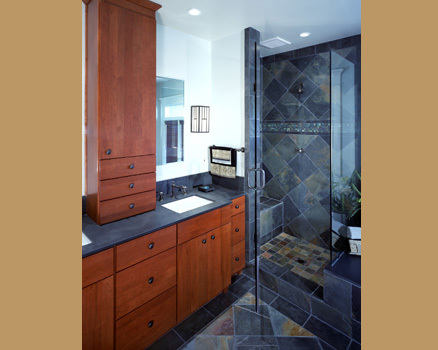 The existing master bath and closet spaces were combined to make the most use of the space.